The cover of this novel doesn’t even hint at the strong dramatic story within the pages! I picked Secrets of the Tides up on whim on my last visit to the UK and am so pleased that I did. We begin with a young woman taking a solitary train journey to London and then throwing herself into the river so for the first half you’re trying to determine who this woman is and how it ties into the story. While you’re busy trying to work that part out you’re slowly exposed to a fairly normal family starting to fray at the edges when they move to the country. Their disintegration entrenches when they experience the worst possibly tragedy a family could ever face. Richell successfully gets into the headspace of both teenager and adult and keeps their inner thoughts and characters consistent as we bounce from present day to the past. I was brought back to being a teenager and all the inner voices that that brings but also found some affinity with the mother- as that’s the voice that speaks to me now. Richell writes with a great amount of tension- I was quite literally tense reading the majority of the novel because I desperately wanted the tragic events that unfolded not to have happened at all. The exploration of guilt and how it can destroy ones’ life was fascinating and true- guilt is a powerfully tortuous emotion for oneself and for ones relationships. The ending did seem a bit rushed but I was so hoping they would come together regardless. 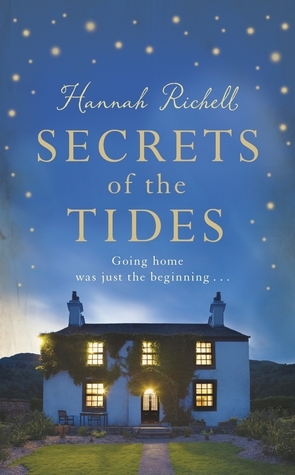 I don’t think anyone would read Secrets of the Tides without feeling the gut wrenching horror of the family’s circumstances. In her notes at the end of the book Richell mentions the power of childhood memories - it made me think and hopefully made me a more patient mother the next day.